Liam Neeson, your dignity is about to be taken. The once-great actor stumbles into the bargain bin yet again with Taken 2, a moronic cash grab that follows up the surprise 2008 hit Taken. Although Neeson never really fit the role of the action hero, he performed admirably in the Luc Besson film, but he then slipped into a period of decline with films such as Unknown, The A-Team, and Clash of the Titans, just to name a few duds. It seemed as if Neeson was picking himself up again with his turn in the surprisingly good thriller The Grey, but then he co-starred with Rihanna in the board game adaptation Battleship and then opted for another big paycheck by cashing in with Taken 2. One hopes that Steven Spielberg considers making Schindler’s List 2 so that Neeson may return to top form. Taken 2 returns Neeson to the role of Bryan Mills, a former spy/super-father who is a skilled and stealthy manhunter. Last time around, Bryan saved his daughter, Kim (Maggie Grace), when she went missing while on a trip with her friend. Several years later, Bryan ventures on a top-secret mission to Istanbul and he takes his ex-wife (Famke Janssen) and his daughter Kim along to do some sightseeing. This time around, however, the bikini-clad Kim must overcome her fears and save her mommy and daddy when they are–wait for it–taken. The first Taken provided decent (if overhyped) entertainment thanks to the stylish approach by Besson and the above-grade character that Neeson brought to the action genre. This sequel, however, offers a clumsy effort by director Olivier Megaton (Transporter 3) and a disappointingly dull turn by its leading man. Taken 2 is simply a waste of talent. It’s so lazy that it recycles the Drive soundtrack not once, but twice. 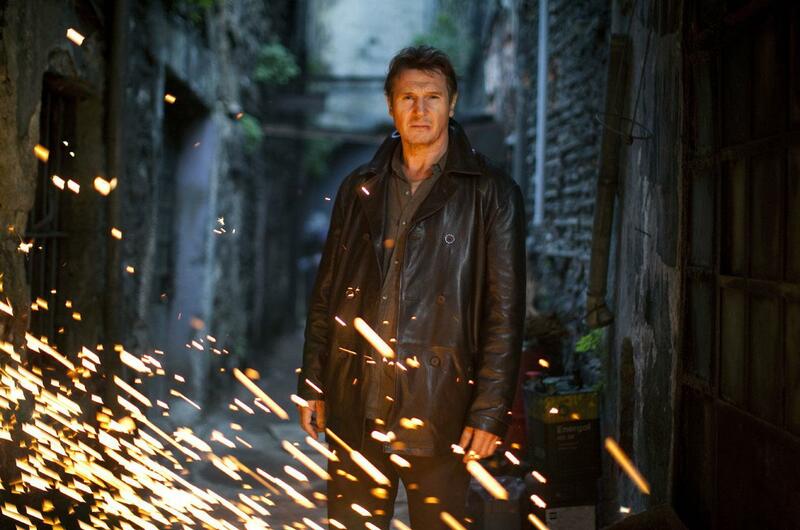 Clichéd and predictable, Taken 2 is a numbskull tread into second-run formula. The film sees the Mills family running around Istanbul, tossing grenades and sharing sparse but sappy dialogue. Taken 2 is mindless and surprisingly xenophobic family adventure. The film hits its lowest moment when it aims for art and transforms the chase into a daddy/daughter driving lesson through the streets of Istanbul. (How on earth does a student driver outmanoeuvre a fleet of police officers?) The sequence ends with a tender family moment that brought tears to my eyes… from laughter. Congratulations Mr. Neeson: the highlight of your year remains the film in which you punched a wolf. Taken 2 is currently playing in wide release.